Talented Ladies Club is five years old today! 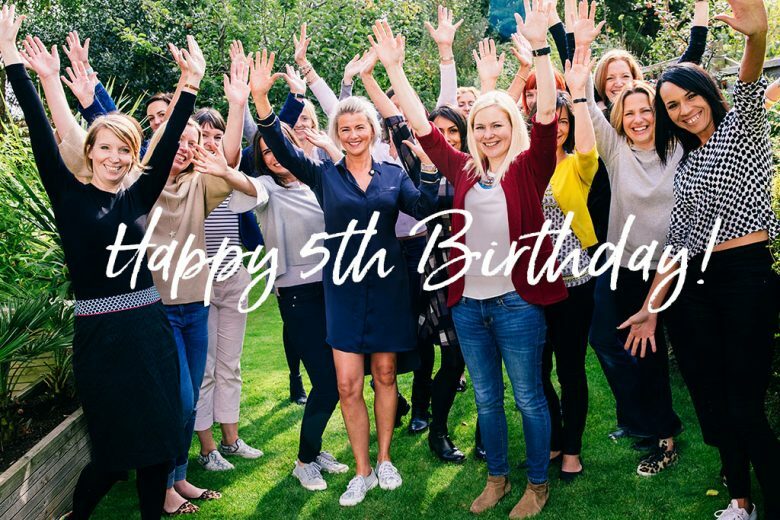 And to celebrate our birthday our founder, Hannah Martin, shares five big lessons we’ve learned – and details of our birthday sale. It barely feels like yesterday that Kary Fisher and I were excitedly (and slightly nervously!) pressing the ‘go’ button, and publishing the Talented Ladies Club site for the first time. After four months of hard work and very little sleep, our online magazine was finally out in the world. Since then we’ve learned a lot of valuable, and sometimes painful, lessons. But like all well-learned lessons, they’ve left us stronger, wiser and happier. To get your birthday discount on these courses and kits just use the code TLC5 at checkout. To get your birthday discount on these courses use the code TLC50 at checkout. Each course or kit comes with lifetime access, so you can start or refer back to them any time you need. And remember, this sale is only open for 30 April 2018. So make sure you sign up today to take advantage of our birthday sale!